The 4th Armored was amongst the busiest of the US Army’s armored divisions. 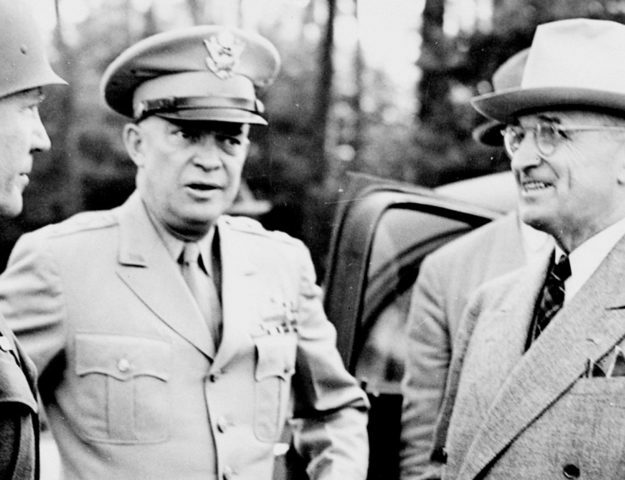 A leading element of Patton’s 3rd Army, the 4th was first activated in April of 1941. Initial training at Pine Camp (modern day Fort Drum) continued until June of 1942 when it was finally equipped as a full armored division. 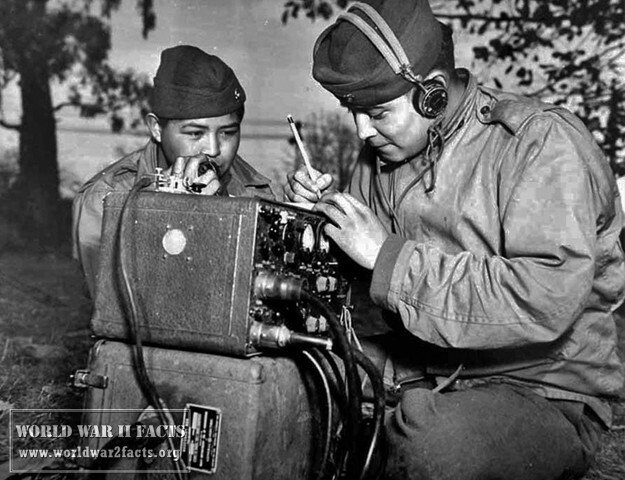 By November of 1942, it was in the process of training in the deserts of California and Nevada. 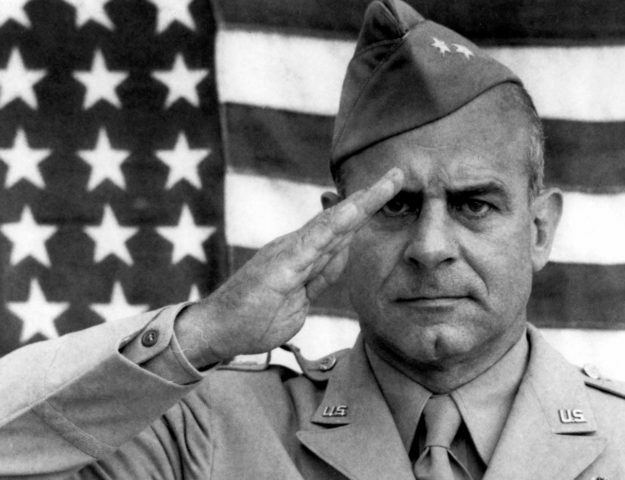 The 4th traded training camps through 1943, before departing for England around the new year of 1944. 4th Armored Division M4 Sherman medium tank, near Bastogne, Belgium, 8 January 1945. 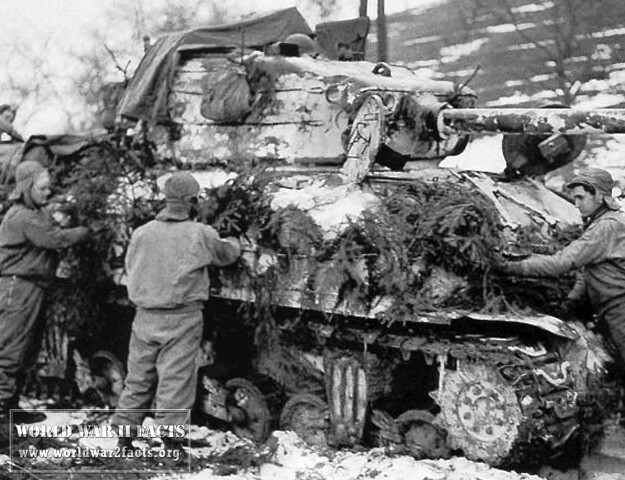 The 4th Armored Division spent six months readying for action in the English countryside. In July, the division transitioned to France over Utah beach and the first elements tasted combat on July 17th. From that point on, the 4th formed as a mechanized spearhead, heading Patton’s drive through the French countryside towards Germany. 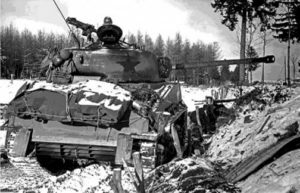 The 4th Division’s tanks and half tracks blew through steadily weaker German defenses until a lack of fuel, longer supply lines, and a rallying foe called for a halt. Later, when the German army attacked US forces in the Ardennes region of Belgium, the 4th Armored was well to the south, in the Saar region of France and German. On December 18th, 1944, the 4th attacked north to try to reach the 101st Airborne Division trapped in the town of Bastogne. It had broken contact and covered 150 miles in 19 hours. On December 26th, the 4th Division finally entered Bastogne, providing the 101st with a firm supply line that enabled the scrappy airborne troops to take the fight to the enemy. 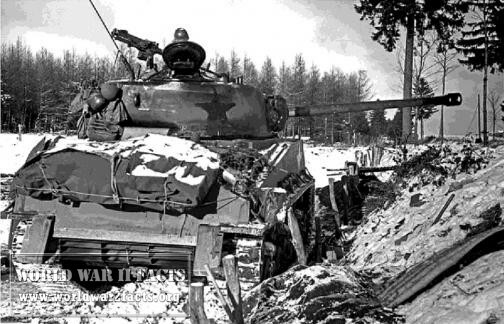 From the Battle of the Bulge, the war was practically downhill for the vaunted 4th Armored. After crossing the Rhine in late March of 1945, town after town fell to the division in a drive that ended on VE Day in Czechoslovakia. 4th had no official nickname, but the name that stuck was “Name Enough”.